For the second day in a row, I'm back with a new concept (that may by a new record for me). This time I'm taking on the New Jersey Devils. 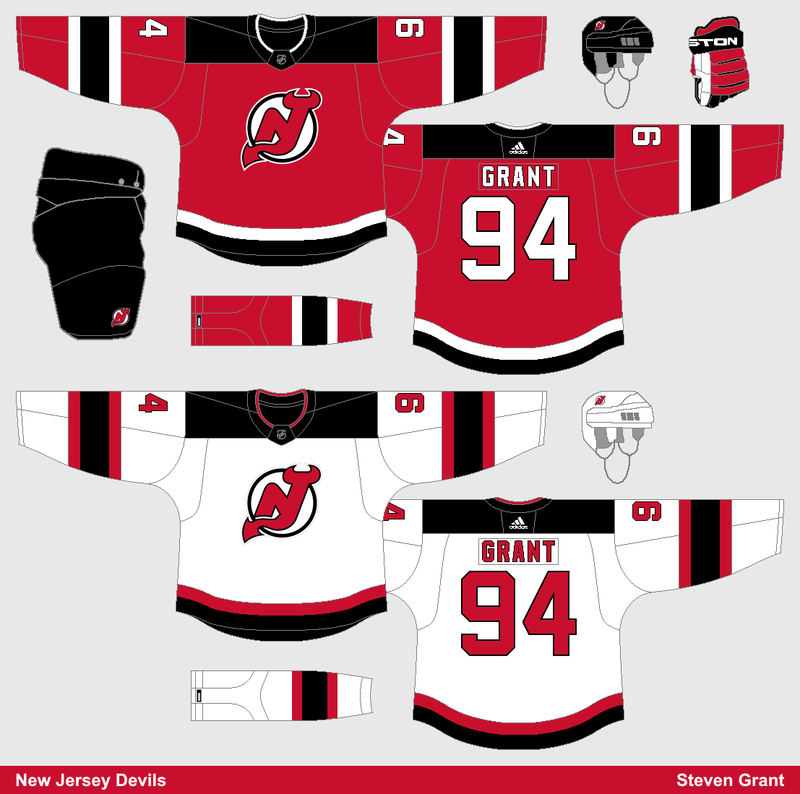 I wish the Devils hadn't made any changes to their previous jerseys, but here's my attempt at making their new set work. I changed the ratio of their arm stripes to resemble their last striping pattern, and then added a bit more along the hem. I'll probably do a few more concepts like this tweaking some of the new Adidas jerseys, and then I'll eventually get back to my NHL Double Series.